Stool transformation | Hey Bernice! There is a story behind most of the items of furniture in our home – I like it that way (partly, because I love telling stories!!). 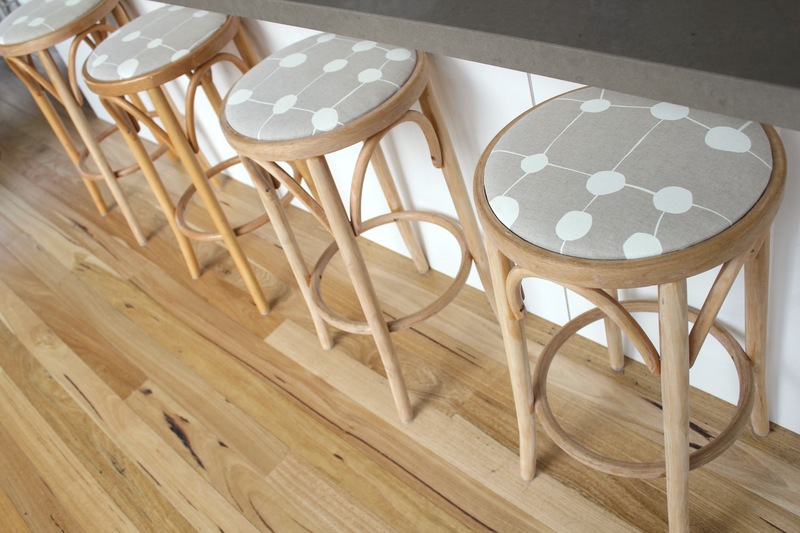 These four stools have recently become one of my transformation stories. Where do I get the motivation (and time) to do all this? OK, I’ll be honest, these stools have been ‘on the go’ for close to a year now… my TAT (why should we leave abbreviating things to the gen-Yers!! )… turn around time is something that is not consistent from project to project. If I am going to be completely honest… I haven’t finished them all yet. They are a real pain in the backside to sand, it’s not fun… and when it’s not fun, my motivation takes a tumble. 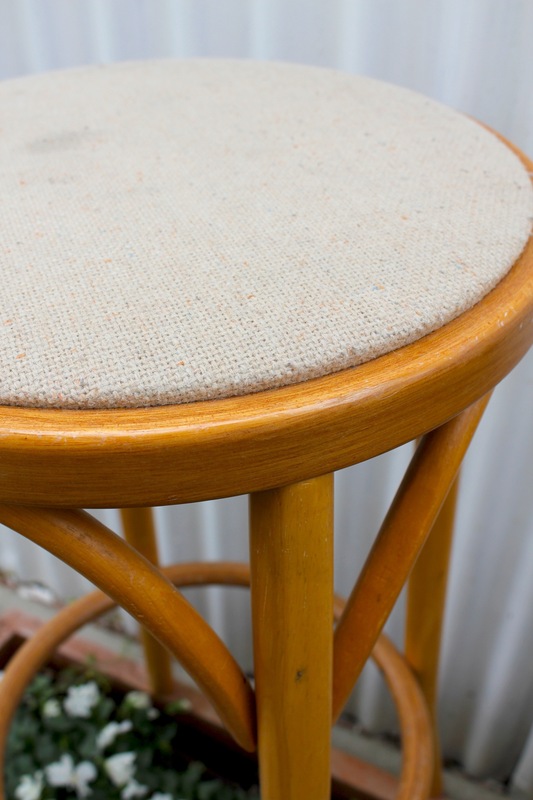 – Some stools that will allow you to remove the padded seat easily (and replace it) so you can change the material – that’s what really transforms them (or a lick of paint). 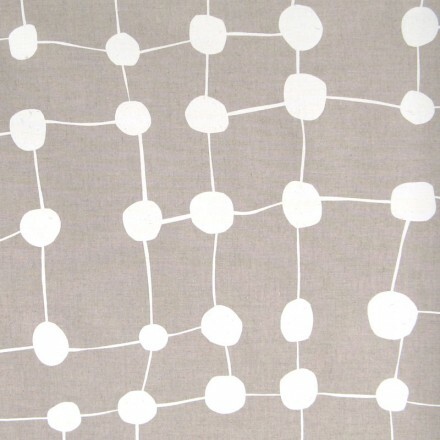 – Durable material to cover the seats and enough to staple it underneath each seat as well. 1. Kindly asked my husband to look after Heidi for a morning while I visited op shops looking for stools. 6. 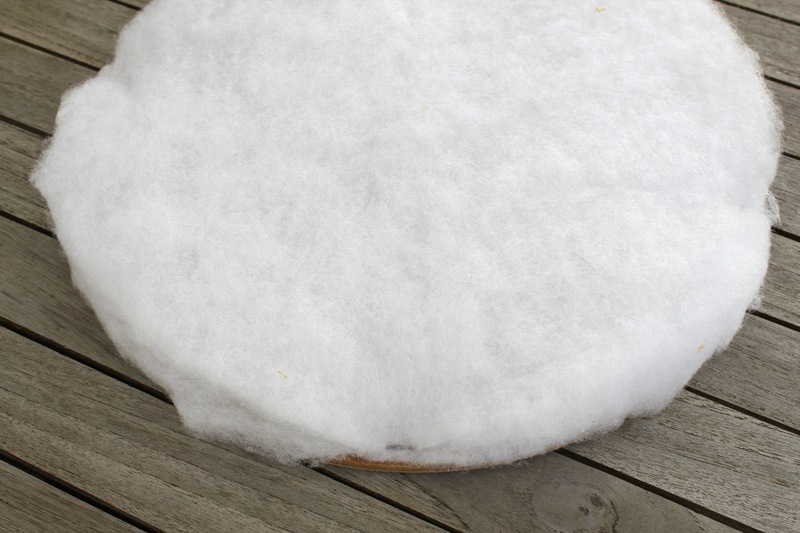 Bought some quilting batting to use as padding on the wooden seat, cut several layers the size of the disc and stapled to the top. 7. Sanded the old varnish off the wood. This was the not-so-fun part. Sanding (or painting) circular wood is very time consuming, and tedious (hence why I have only managed to complete two of the four chairs!). Because the varnish was old it did turn quickly into dust and come off easily… the electric sander can do most of the work, except in the tight spots where I switched to hand sanding (the really, really un-fun bit!). 7 a) alternatively I could have painted them, which was my original idea. I opted to sand back instead because it was likely that the paint would chip on the rim around the bottom where people would be resting their feet… I didn’t warm to the idea of having to re-touch the paint all the time! 8. 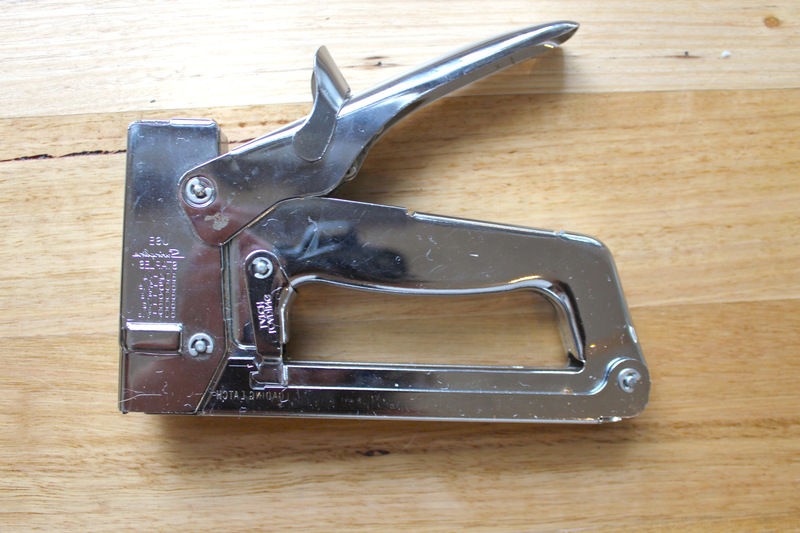 Take your material and cut each piece leaving about 10-15cm extra around the edge for stapling underneath. 9. 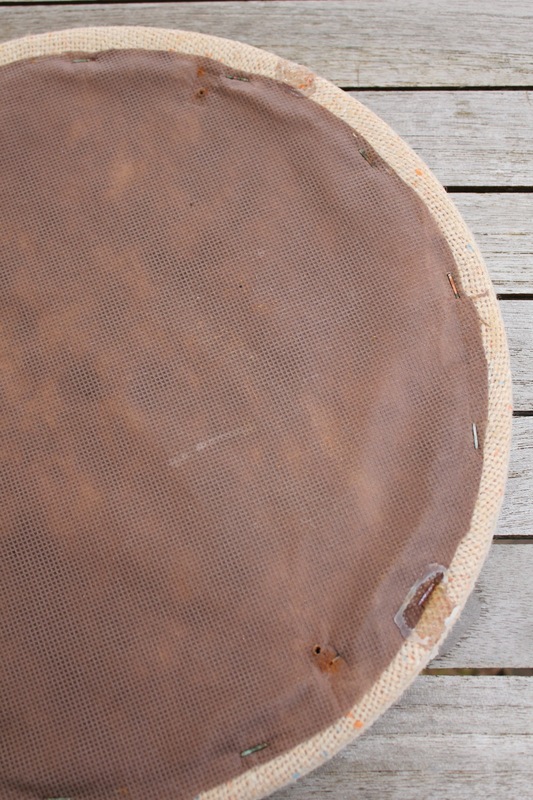 Once the material is cut, lay the good side down on a table/floor then place the padded side of the circular seat on top (padded side down). 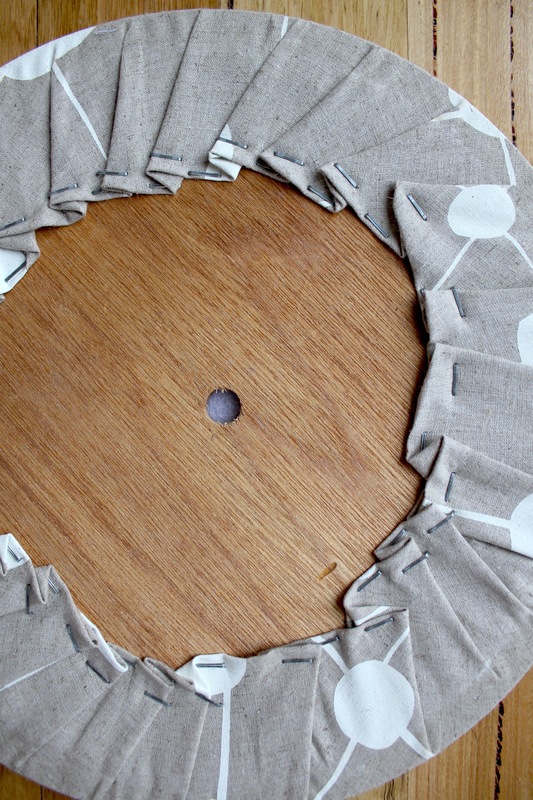 Take your staple gun or upholsterer pins and place four evenly spaced around the circle (dividing it into quarters). When you fold the material over before pinning/stapling, fold the cut edge under for a neater finish, and make sure you pull the material tight for a better finish overall. 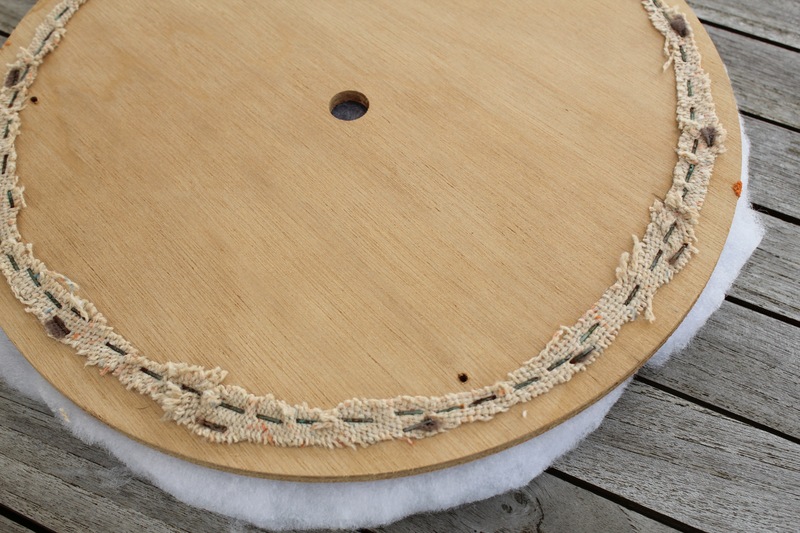 You’ll see below that you get a better finish if you angle the material after pulling it tight (you avoid wrinkles forming around the edge of the circle). 11. 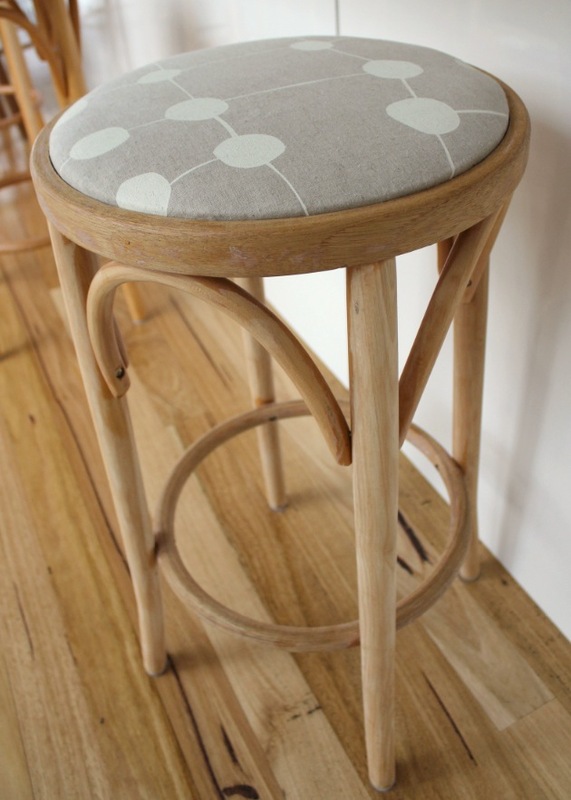 Attach/screw/glue the seats back onto the stool (once they are sanded or painted, and dry! 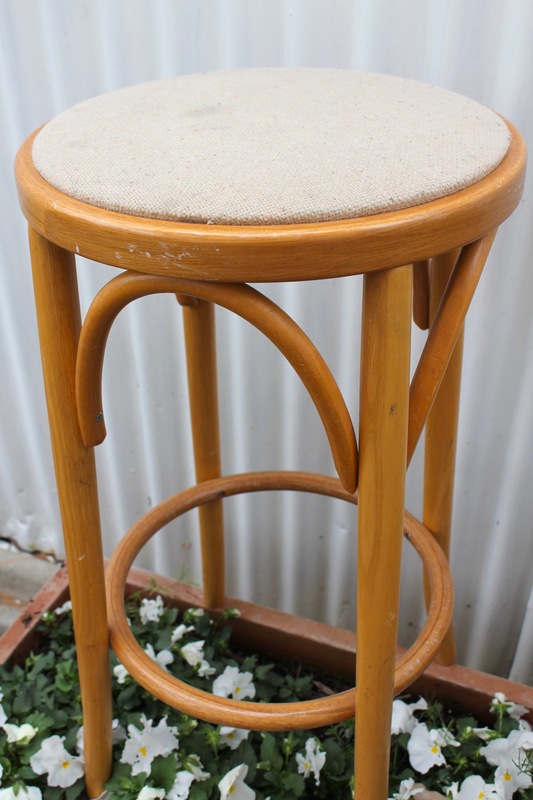 ), and you will have yourself a set of new stools. If you look closely at the back two chairs I haven’t finished sanding them yet…I’ve been using them for three months and no one seems to have noticed – or they are too polite to say so! What I love about these is that when I get sick of the material, I will take it off and recover the seats with something fresh. 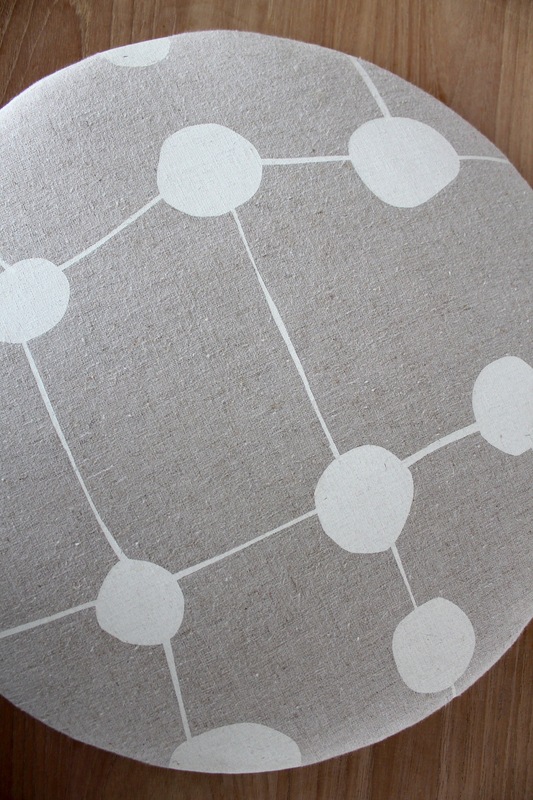 Happy hunting for stools, and choosing material. 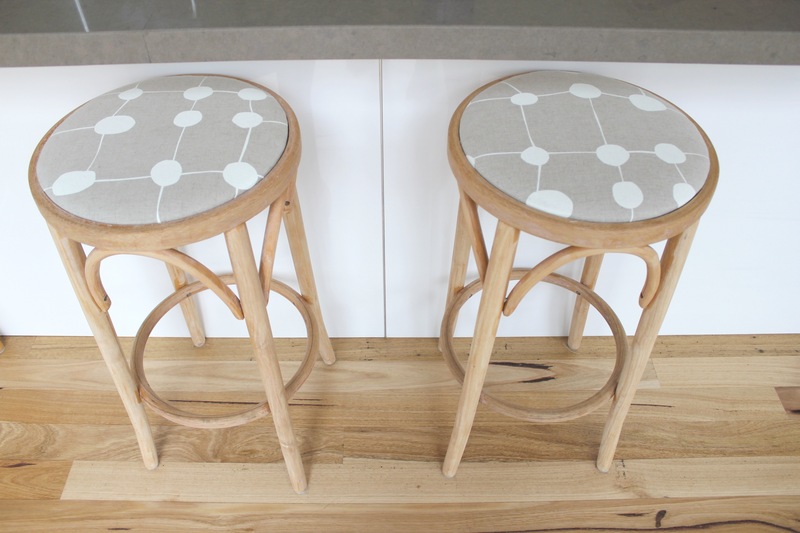 And hope that you find stools made with flat wood, and no curves, it might mean you finish sanding yours!